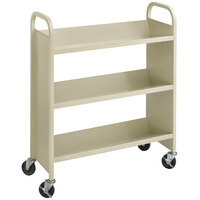 A mobile computer cart can feature innovations like drop leaf and keyboard shelves, locking cabinets, and split tops, making them appropriate for all of your business’s needs. 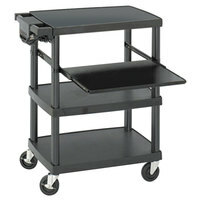 Many also have attractive and scratch-resistant surfaces for a stylish and professional look. 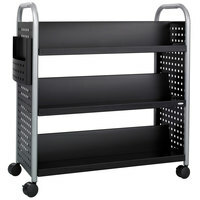 Our computer carts come in colors like black, brown, gray to match your decor or color preferences. Also make sure to check out other great items from Fellowes, Hirsh Industries, Luxor, Master, Mayline, Oklahoma Sound and Safco. 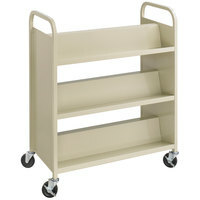 Mobile computer carts feature casters and ergonomic handles for easy transportation and storage. 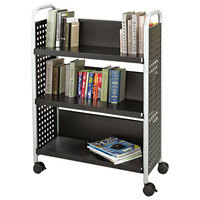 You can also choose from enclosed or open style carts, providing the ultimate in flexibility. 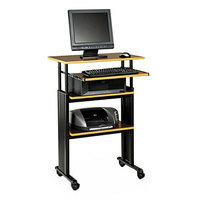 Whether you run a conference facility, school, or office, our selection of laptop desks and computer carts is sure to meet your business's needs. 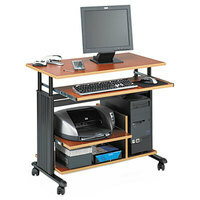 For related products, check out our presentation equipment, laptop charging stations, and church and auditorium chairs. 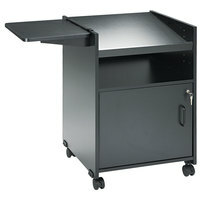 If you're wondering where to buy safco laptop desks and computer carts, we have a large selection of safco laptop desks and computer carts for sale at the lowest prices.